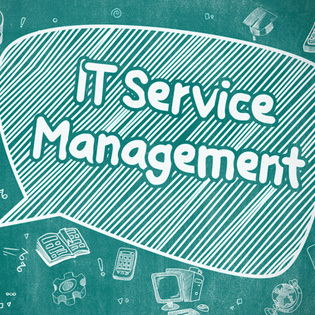 If you’ve made the decision to hire a Managed Service Provider, you’re in good company. CRN reports that the Managed Services market topped $145 billion in 2016 and it’s forecasted to grow to $242.5 billion by 2021. MSPs have been around for 20 years, but the adoption of cloud services and the strategic need to cut costs has led companies of all sizes to approach these IT experts. MSPs can offer any combination consulting and advisory services, much-needed security help, stand-alone applications, and just general oversight of your technology architecture. Before you sign on the dotted line with any MSP, here are the top seven questions to ask. 1. Are they fully staffed 24/7/365? What happens if your services go down on the weekend? Who will respond to you? Who will physically be on site to conduct troubleshooting and system repair? Do they turn things over to a remote help desk after hours? Can they provide on-site support? How far away are they? If these questions can’t be answered to your satisfaction, it’s a red flag. 2. How will they handle cyber terrorism or other data breach? Ask specific questions about the level of incident monitoring and how it will help slow down hackers. Ask for details of their incident response plan. Whether it’s ransomware or other malware, what are the steps to service restoration in the event of a breach? 3. What are the exact services that will be provided? Where do their management services stop and your responsibilities begin? MSPs could manage from the physical hardware to the applications on your servers. Will they be monitoring server transactions? Are other digital devices such as phones and tablets or printers covered under the contract? Make sure you’ve reviewed the type of service; guarantees; availability; and the resolution process. You should also know if they are subcontracting any of their services. 4. What experience do you have? We know you’ve thought to ask this, right? It may be old school to ask for references, but it’s important. How long has this company been in business? Are they familiar with your industry? Ask their references if they feel the MSP delivered on what they promised both contractually and verbally. If you’d like to find out if your business is ready for MSP support, you can get a free assessment from TOSS C3. The MSP should be monitoring your applications, computers, networks, and servicers to keep things running. Their response time and network uptime should be very close to 99.9%. Some MSPs have errors and omissions (E&O) policies while others have cloud and MSP insurance. Data isn’t usually covered under the typical property insurance policy. What are the limits to their liability? 7. What is the length of the agreement? What kind of notification to you need to give if you feel you must cancel, and what form must that take? How much notice do you need to give before canceling? It’s important to realize that the relationship with your MSP is exactly that – a relationship. Covering these important points with a potential outsourced IT provider will ensure that the relationship is lengthy and mutually beneficial. Request a quote and find out how TOSS C3 can help your business.